Pujor Etihas What is Kumari Puja in Durga Puja? What is Kumari Puja in Durga Puja? 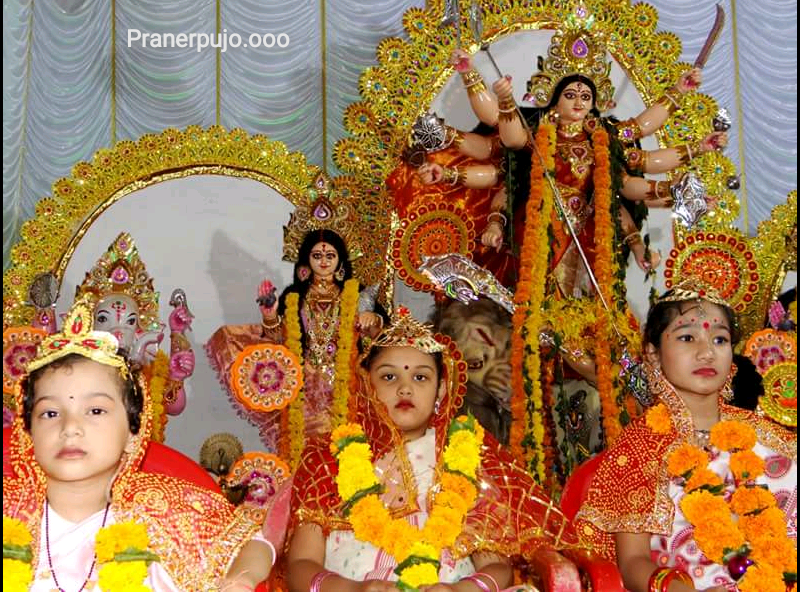 In the Navaratri, the Kanya Puja starts from the date of Saptami and during this time the girls are invited to the house and called for health recurrence. On the day of Durgashtami and Navami, these daughters are welcomed as the goddess of nine gods. It is believed that like the ladies of the daughters, the Lord Durga is pleased with the strictness and banquet and bless the devotees with happiness and prosperity. Why and how is female worship or Kumari Puja? Virgo worship is of great significance during Navaratri festival. 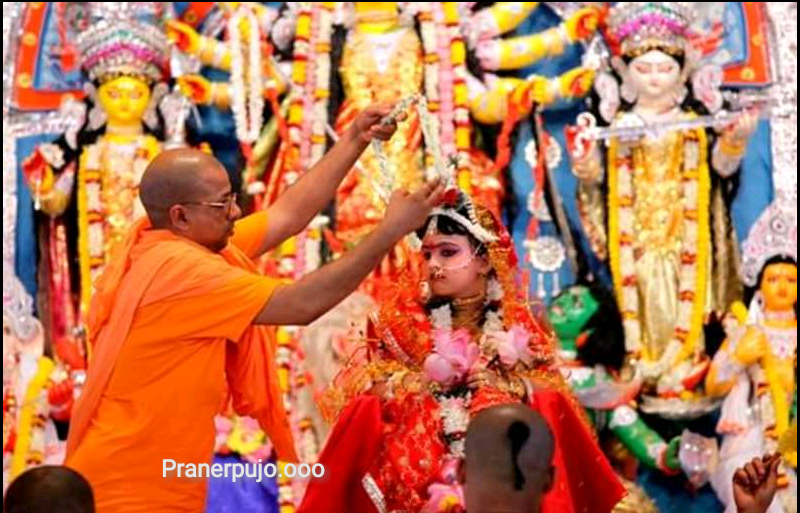 The devotee's Navaratri fast is completed only after worshiping nine daughters in the form of reflection of nine Goddesses. 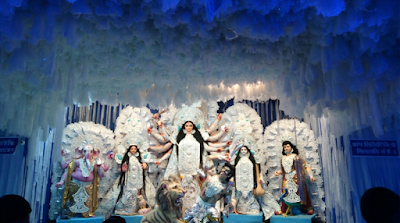 Mother Durga is happy with just giving her Dakshina by enjoying her according to her strength. What day do Female worship or Kumari Puja? 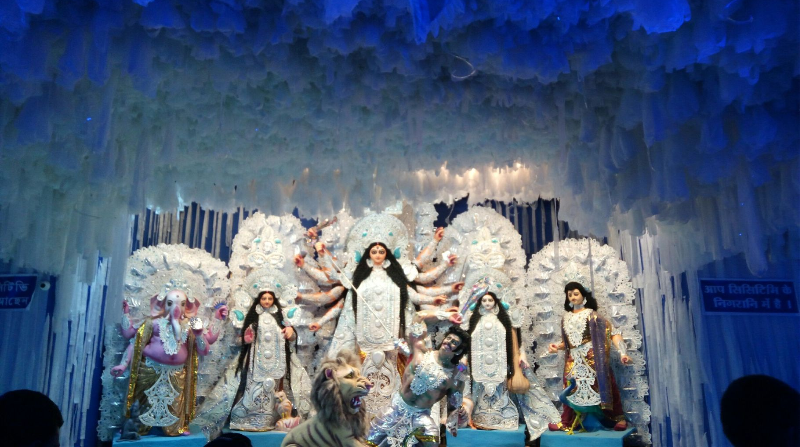 Although many people start worshiping the women from Saptami, but those who observe the whole nine days, according to the date, after the worship of the Ninth and Dashami, they open the fast after taking the offerings. According to the scriptures, the day of Durgashtami is considered to be the most important and the auspicious for the worship of the Kanya. - Virgo girls are invited for daughter-in-law and worship a day before. On the day of main girl worship, it is not right to capture the girls from here and there. - Welcome all the families of the girls on the entrance of the flower with flowers and show the names of all nine names of Navdurga. Now, putting these girls in a comfortable and clean place, they should wash all their feet in a plate full of milk or in a plate and wash their feet with their hands and take blessings by touching their feet. After that, on the forehead, the uninspired, flowers and crisp should be placed. - Then after meditation of Mother Bhagwati, make these devotional daughters food according to their wishes. After the meal, give your daughters dakshina, gifts according to their strength and bless them by touching their feet again. 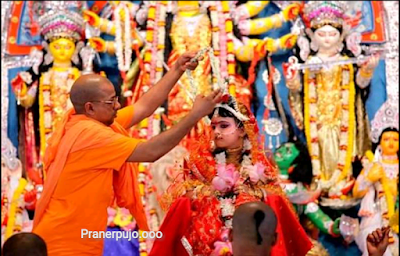 How old are the Female of the bride worship or Kumari Puja? The daughters should be upto two years and upto 10 years and their number should be at least 9 and there should also be a child, which is considered as the form of Hanumanji. Just as a mother's worship is not complete without Bhairav, in the same way, it is very important for a child to feed even a girl during pooja. If more than 9 girls are coming to the banquet then there is no objection. - Navratri is worshiped for one year and nine or twenty nine in every Ashtami or Navami. - Removes misery and poverty from the worship of two-year-old girl (Kumari). Three year old daughter is considered as trinity. The wealth comes from the worship of the trinity and the happiness comes in the family. - A four year old girl is considered Kalyani. Its worship is the welfare of the family. While the daughter of five years is called Rohini. By worshiping Rohini, the person becomes sick. - The daughter of a six-year girl has been called the Kalika form. Vidya, Vijay and Rajyog are attained by the form of Kalika. Chandika is a seven year old girl. Worship of Chandika form is the achievement of Aishwarya. - An eight-year-old girl is called Shambhavi. By worshiping it, there is victory in debate. Nine year old daughter is called Durga. By worshiping it, enemies are destroyed and incurable work is done. - The ten year old girl is called Subhadra. Subhadra fulfills all the aspirations of her devotees. Only 9 days is not enough to honor them. 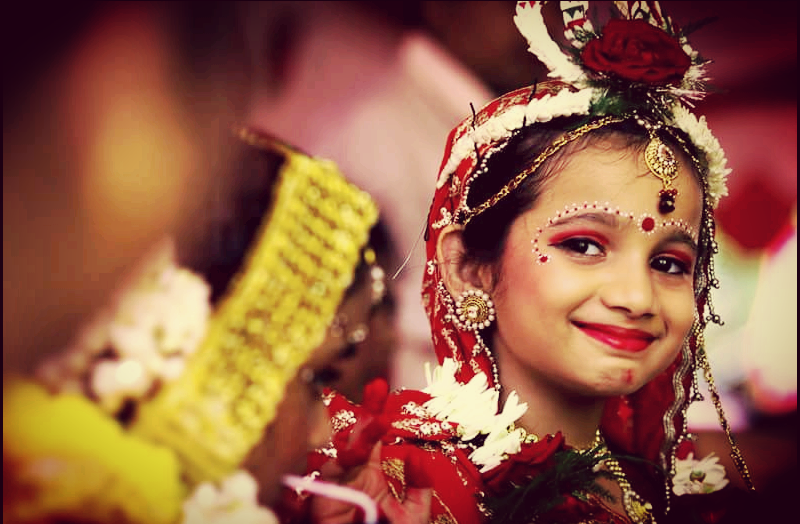 In Navaratri, the girls in India are worshiped as goddesses. But some people forget all this after Navratri. Virgo is exploited in many places and they are slandered. Even today, there is sadness on the birth of a girl in many villages in India. Why so? Are you not insulting these forms of Goddess Mother by doing this? We have to change our thinking about girls and women. Respect the goddess like girls. Respecting them is as virtuous as worshiping God. It is also written in the scriptures that God resides in the house where the woman is respected. This ancient tradition of Virgo worship is such a belief that once the mother Vaishno Devi was pleased with the devotion of her supreme devotee Pandit Shridhar, she not only rescued her and gave evidence of her existence to the whole creation. Today, devotees of Shree Sridhar used to live in Hansali village, located 2 km from Katra town of Jammu and Kashmir. They were children and were unhappy. One day, he invited the virgin daughters to his house for the Navaratri worship. Mata Vaishno came in between her daughter as a daughter. After the worship, all the daughters returned, but the mother did not go. Invite goddess Pandit Shridhar, who came to Balrup, - invite everyone to Bhandara. Shridhar accepted the divine daughter and sent a message to Bhandara in the nearby villages. All the people came in Bhandara Many girls also came After this Sridhar's family was born. Since then, people have been demanding blessings from mother by doing daughter pooja and daughter food till date. It is believed that the worship of the Navaratri and the venerable Kanya is incomplete without worship. On the last day, who worshiped the girls with reverence, all their desires are fulfilled. Some people also feed a young child with nine girls as Baba. *This Puja has So much Historical importance and it's So important for Bangalis in the west Bengal.